With more than five centuries of tradition, the University of Santiago de Compostela is a historic institution that projects itself to the future and beyond its frontiers, always attentive to the different demands of society, where it stands as an important academic frame of reference and where it develops its academic and research work. Centuries of history give the University an special capacity to merge the experience, security and confidence with present and future challenges. Campus Terra is a project dedicated to transform Lugo´s campus into a scientific and social reference in economic, social and environmental sustainability by use of the TERRA (land). To guarantee that the required transformation is born from a core of knowledge about the TERRA (the land) with a multidisciplinary perspective that addresses economic, cultural, social and environmental aspects along with the vision that the Earth is the source of life, one deeply rooted in Galicia and in the university community. This horizontal and systemic approach inspires and oblige us to establish and maintain collaboration with other academic research groups, administrations, companies and other social agents that share this vision. Contrary to what we understand as the more common scope of disciplinary research in Universities, our vision seeks to complete the existing gap in the ‘ecotones’ or boundary spaces between different scientific disciplines. Miguel Cordero Souto. Forestry Engineer, has participated in various projects of R & D + innovation in the field of Geographic Information Systems (GIS) applied to land management, rural development and management of natural resources at local, regional and international level. Since 2004, he is the technical manager for USC’s Territorial Information System (SIT) technology platform. He specializes in GIS, 3D capture and modeling of remote sensing data; terrestrial laser scanner, drones (with optical sensors and lidar) and ground penetrating radar. Works part-time on his PhD thesis about lidar and its application to forest management. In the training area of SIT, he organizes and gives courses in GIS and remote sensing. He participates in the Master on Sustainable Land Planning, lecturing in courses dealing with Geomatics and Techniques to Capture of Spatial Information. He has experience in the community management of communal forests, having been president and secretary of two of them, oriented to the production of wood, in the central plateau of Galicia. He has been a part-time farmer since 2013 with a herd of one hundred and fifty goats in the mountain region of Ancares. 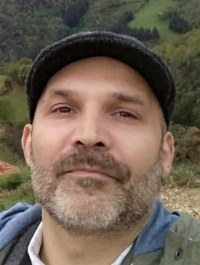 Marcos Boullón Magán. Marcos Boullón holds a PhD. in Physics by the USC and a BSc. in Informatics by the UNED. He’s published in the field of high performance computing, parallel programming and distributed systems, as well as in geographic information technologies. Also he actively participates in conferences, courses and projects within these areas. His current research line is associated with decision-making and facility management application development under GIS platforms, geographic information dissemination via GIS web viewers and the design of algorithms for processing information with a geographic component. Pedro Fiz Rocha Correa. 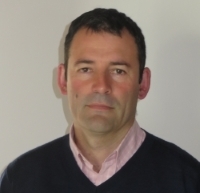 Pedro Rocha is agriculture engineer currently working as International Adviser at the Campus Terra, the specialised Campus on Agriculture, Forestry and Land issues of the University of Santiago de Compostela. Among his tasks, he participates in the design and setting up of an experimental dairy farm for educational, research and dissemination purposes linked to the university. His background has been related to rural development through work experiences in agrarian trade unions, Andalucia universtity delegate in Brussels or stagiaire at the DG-Agri in Brussels also. Nowadays he is finalising a PhD on rural development and sustainable land management.